Just announced is the 2019 Suzuki Katana. The Katana has is a 80’s model name for an innovative sports motorcycle. It’s original claim to fame is having a tilted engine and the pop-up headlights! Of course in hind sight you have the styling that influenced BMW in the GS range. Of course being a retro styled motorcycle the 2019 Katana doesn’t have any parts from the original motorcycle. Nonetheless GSX-R based 1000cc engine and parts means it’s already has the performance mod potential. I think it’s a replacement for the GSX Bandit models. In terms of specification and performance the figures claimed are all less than the GSX-R retuned for ‘torque’ at lower revs. 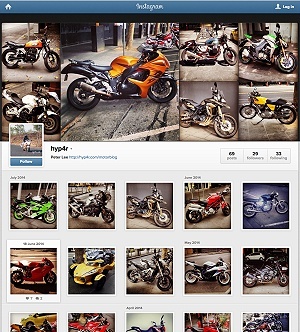 I guess Suzuki is trying something different from the 70’s GSX1400 and XJR 1300 of which has been given a redesign. All the usual 2018 features are there, ABS, 3 power modes, LED lights and arguably the best and largest digital instrument panel. Of note the engine is from at least 2008 GSX-R1000 and parts from various models onwards. A Katana is a type of ceremonial Japanese sword and the relationship to the name is clearly sharpness? Sharp handling perhaps? Sharp design? Sharp marketing? 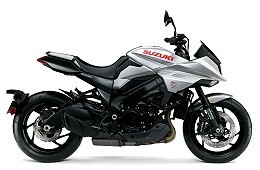 The new Suzuki Katana is not cutting edge in terms of design or specification so what will it be when released next year? after all it is a very sharp retro remake!